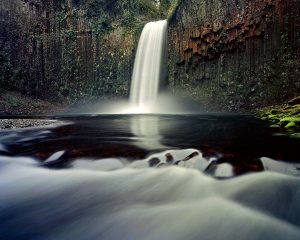 Top 10 Oregon waterfall hikes. 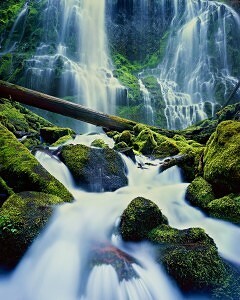 Oregon is blessed with an amazing collection of waterfalls, arguably the most impressive in the United States. This, of course, means many readers will have a favorite waterfall which is not on my list. That’s actually good. 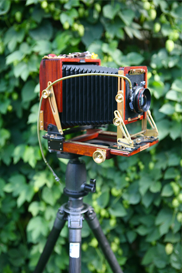 It will give me more waterfalls to explore and hopefully photograph. I’ve ventured to hundreds of Oregon’s waterfalls and have loved most of them. As I approach the exploration of Oregon waterfalls from the perspective of an Oregon Landscape Photographer, I tend to dig in deep and thoroughly analyze the waterfalls I visit. 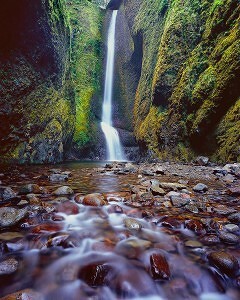 So, in my opinion, here are, in no particular order, the top 10 waterfall hikes in Oregon! 1. Tumalo Falls Hike, Deschutes National Forest. Bend Oregon’s beautiful Tumalo Falls in summer with a foreground of wildflowers. Where do I start with my list of the top 10 waterfalls in Oregon? Well, I start …at home. I live in Bend, Oregon and Tumalo Falls is one of our iconic local attractions, located approximately 10 miles from Downtown Bend , beautiful Mirror Pond and Drake Park. Intrepid hikers with lots of adventure time can continue uphill beyond Turtle Falls and and eventually reach Broken Top Mountain and its incomparable alpine beauty. 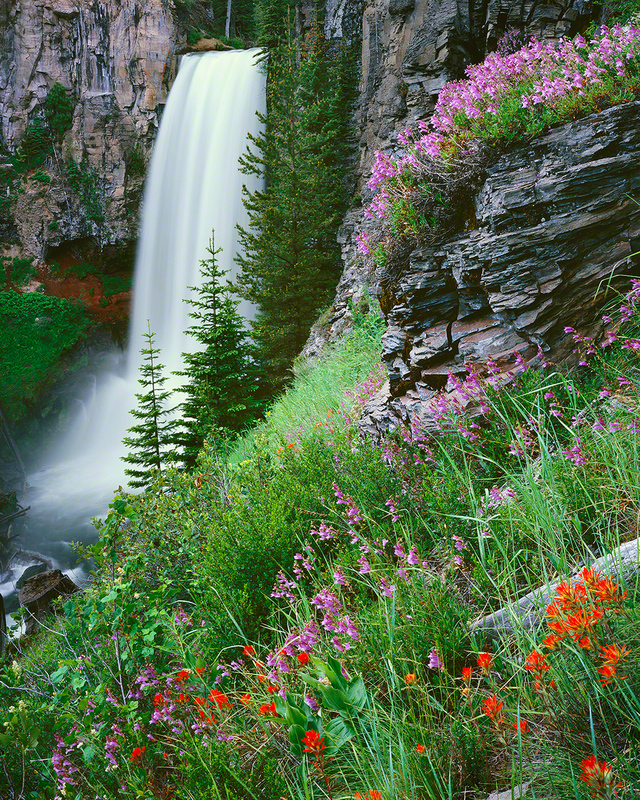 There are many other trails in the Tumalo Falls area which provide endless options for Hikers and mountain bikers. 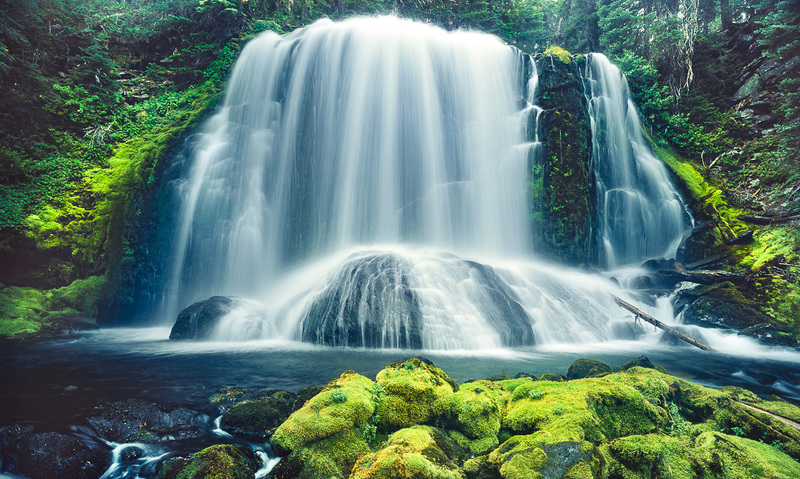 The Hike to Proxy Falls is almost as refreshing as the waterfall itself. The 1.5 mile loop trail quickly enters the western edge of the Three Sisters Wilderness Area as it ambles through old growth fir and cedar forests and over the top of ancient lava flows. Early spring brings a proliferation of Rhododendron blooms and autumn offers a kaleidoscope of vine maple foliage. The hike, while not appropriate for disabled travelers, is considered family friendly. The hike gradually gains elevation as it gently weaves through a temperate rain forest. Most hikers tend to hike this trail in a counter-clockwise direction, which brings them to Lower Proxy Falls( pictured to the right)first. This photographically stunning waterfall is the main attraction on this magical hike. At 226 feet tall, Proxy Falls and its braided patterns mesmerize countless hikers every year. The Proxy waterfall hike brings hikers to an overlook of its namesake waterfall. the view is attractive but the magic lies below. Intrepid hikers should scramble down the often muddy slopes beneath the viewpoint, following the obvious trail. This scramble is NOT for everyone but is easily passable for able bodied hikers. Prepare to get wet and like it. Spray fills the basin beneath the falls, stimulating the senses. There are undeveloped trails that parallel the falls on both sides. Depending on stream-flows, wet shoes may be a requirement. After frolicking in the refreshing spray of this magnificent waterfall, hop back onto the loop trail and continue. If you started in a counter-clockwise direction, you will reach Upper Proxy Falls after a 1/2 mile stroll. You will notice a small sign indicating a trail departing to the right hand side of the trail. Take it! This leads to Upper Proxy, a wonderful “Bonus” waterfall. While not the showstopper that Lower Proxy is, it is well worth exploration and it is an excellent place for a lunch break. Bring your own lunch, it will not be provided for you! After your bonus, continue the short hike back to the parking area. -In Sisters, follow signage to McKenzie Pass(OR 242) approximately 15 miles where you reach the Dee Wright observatory, a worthy rest spot with spectacular views of the Oregon Cascades and an extensive lava flow. Be forewarned, while beautiful, highway 242 is not for those prone to car sickness. The road winds mercilessly, is very narrow, and has some steep shoulders. 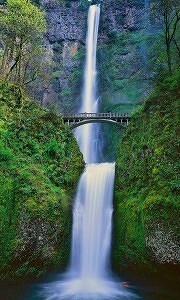 Oregon’s beautiful Multnomah Falls, the tallest waterfall in Oregon. Where to start with Oregon Waterfalls…maybe from the top! 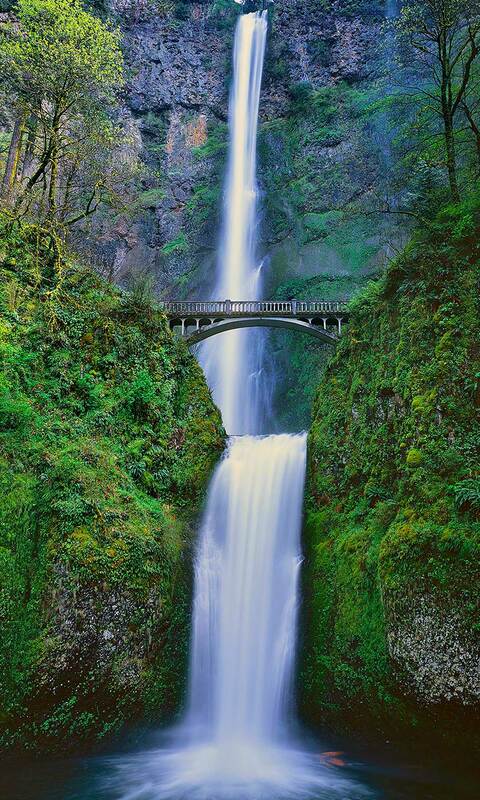 At 627 feet tall, Multnomah Falls is Oregon’s tallest waterfall. 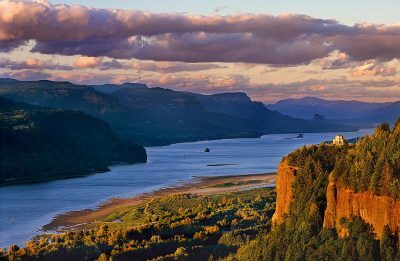 Located in the beautiful Columbia River Gorge, Multnomah is visible and accessible from Highway 84 which runs East-West through the gorge. Multnomah is not one of my favorite waterfalls because it offers solitude because…it doesn’t! It has a huge parking lot and a very busy visitor’s center. Multnomah makes my list because it is stunning, family friendly, and offers some wonderful hiking opportunities along side and above the falls. The historic Multnomah Falls lodge, was thankfully spared from this past summers horrendous wildfires in the Columbia River Gorge. I’d like to extend a special thanks to all of the firefighters who help save the lodge and countless other special places in the Gorge. For visitors who suffer from time constraints, the Benson Bridge, centered in the image at left, is a worthy destination. From the bridge, visitors will have sweeping views of the Columbia River Gorge as well as the impressive upper drop of the falls. The feel of fresh spray and the rich aroma of ionized water make the short hike worth the effort for an able-bodied visitor. Toketee Falls and its short but beautiful hike are all about the details. specifically, amazingly intricate details of intricate basalt columns. The framing of Toketee Falls via a symmetrical basalt column gateway is almost too perfect to be believable. It must be seen to be appreciated. 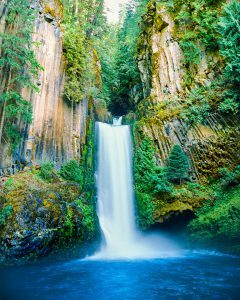 The Hike to Toketee Falls is a family friendly but not handicap accessible 0.5 miles one way to a viewing platform where the North Umpqua River double drops. The first about 30 feet and the second about 70 feet. You will know when you’ve arrived at the trailhead because a huge and unusual wooden irrigation tube runs along one side of the parking area. I mean, it is really big… maybe 20 feet tall… leaking like a sieve and bands together with steel straps. Frankly, it doesn’t look safe! The hike itself is beautiful if not arduous. 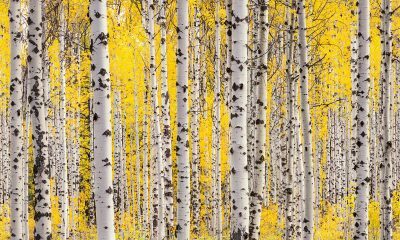 You will experience a very tropical feeling forest, more evocative of Kauai than of southern Oregon. Old growth trees, giant ferns and lush undergrowth flank the banks of the deep volcanic gorge which has been scoured by the waters of the North Umpqua River. The hike is an out and back and is a nice road trip diversion for families. There is an obvious but dangerous trails that plummets down into the waterfall’s natural amphitheater. It is not for everyone. I’ve never read of fatalities on this unofficial side trail, but they are a distinct possibility. Know that you have been forewarned and know that the view from below is really stunning. You get a water-level view to enjoy the falls’s ionized spray and the up-close details of this amazing natural wonder. From Bend, drive south on highway 97 for 75 miles and turn right on Highway 138 towards Crater Lake National Park. Continue on Highway 138 for 42 miles and take a right on Forest Road 34. Cross the first bridge and the parking lot for the trail is on the left. The trailhead for the Toketee Falls Hike is at the far end of the Parking lot. Remember, if you see the giant ,leaky wooden irrigation pipe, you are at the right place! Short Hikes to the Devil’s Churn, the Spouting Horn, and Cook’s Chasm are are close by and all visually stunning, as the view from the Cape Perpetua overlook and its stunning view to the South along the Pacific Coast. 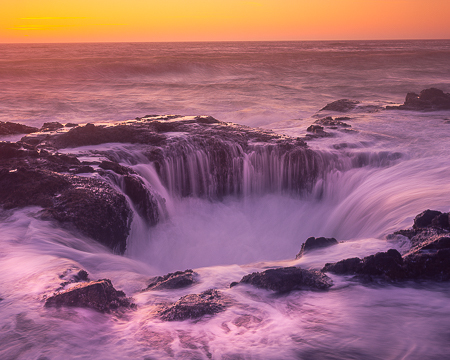 Thor’s Well requires a high tide in order for ocean surges to fill the Well’s coastal cave and force water upward before it forms a brief circle waterfall after each surge. There are multiple routes to Cape Perpetua and Thor’s Well from Central Oregon. 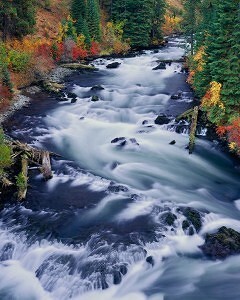 -Drive west on highway 20 out of Bend, through the city of Sisters and over Santiam Pass. -Take highway 126 for 68 miles and continue to the city of Eugene. -Turn right on US 101 for 21 miles and arrive at Cape Perpetua. The Oregon side of the Columbia River Gorge is blessed with countless interesting waterfalls, making is one of the most waterfall rich areas of the United States. 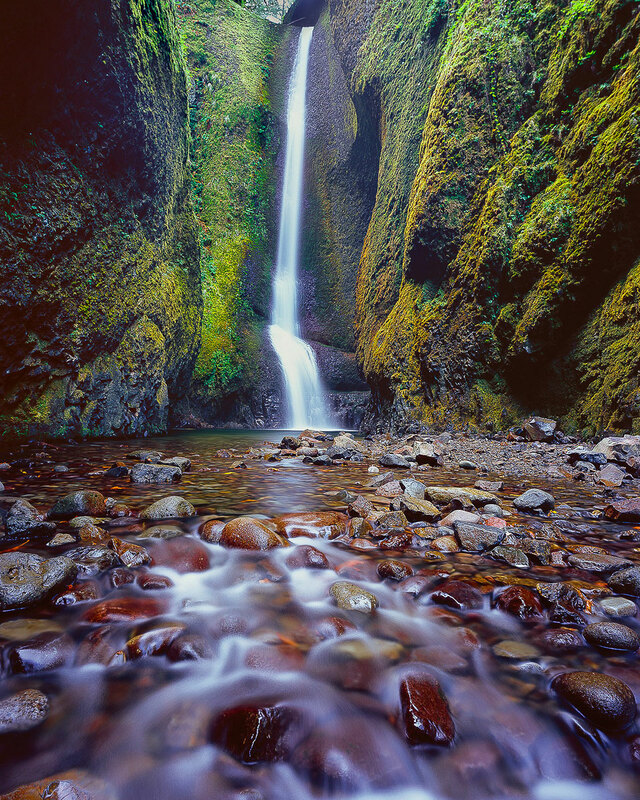 A personal favorite amongst Gorge waterfalls is the famed Oneonta Falls, located in the stunning Oneonta Gorge. 100 foot tall Oneonta Falls is located a half mile upstream in the incomparable Oneonta Gorge, a 200 foot deep moss covered slot canyon which at points is only 6 feet wide. Hikers be forewarned, you will get wet on this hike! Even in warm summer months, there is one pool which is the full width of the canyon which will be chest deep on a 6 foot tall person. If you are bringing camera gear, bring a dry bag. the Same goes for your phone! The Short hike to Oneonta Falls are simply stunning but another warning should be headed. At the beginning of the hike, Oneonta Creek and Gorge are blockaded by a huge log jam. I mean its really big! This sounds like a minor detail but wet logs with dangerous drops into the creek below are a dangerous combination. It is my understanding that at least one person has died at this log jam…. Please be careful if you choose to proceed. If you do, be prepared for a magical mossy gem of an experience! -In the city of Gresham, follow sign to I 84 East towards Hood River, Oregon for 16 miles to the Oneonta Gorge trail head. Abiqua Falls is a stunning natural amphitheater composed almost entirely of volcanic basalt columns adorned with vibrant orange lichen. Abiqua Falls, by itself is an elegant 100 foot tall single drop waterfall but the scene is about much more than the falls. The amphitheater is simply stunning, like something out of Jurassic Park. Moss-laden big leaf maples, Douglas Firs, Cedars and hemlock harmoniously mesh with the extraordinary basalt patterns of this stunning rocky basin. 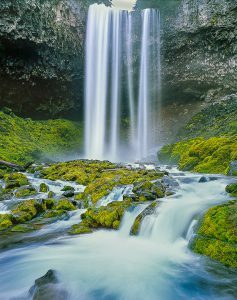 Abiqua Falls are located on land belonging to the Mount Angel Abbey which graciously allows visitors to experience this exquisite place. Please be respectful of the surrounding environment. Access has been prohibited in the past and with misbehavior, it is a future possibility. The hike to Abiqua Falls from the trailhead is relatively short but not a simple one. The trail is steep, often muddy, and slippery but it does have ropes fixed in critical locations to aid hikers up and down the steepest parts of the hike. -Start at the small town Scotts Mills Oregon. -Follow Crooked Finger Road approximately 11 miles. Paved road will end after about 10 miles. -Turn right on an unmarked signs at an ORV staging area. Follow this gravel and stone road for 2 1/4 miles to a locked gate with a small parking area. You will likely need a high clearance vehicle for this section of the road. -From the parking area( this term is used liberally as this is NOT formal parking area, it is simply a wide part of the road. – From the parking area, walk back up the road for about 100 feet to the trail which travels down the slick muddy path for about 1/2 mile before reaching the Shangri-La, which is the Abiqua Falls Amphitheater. 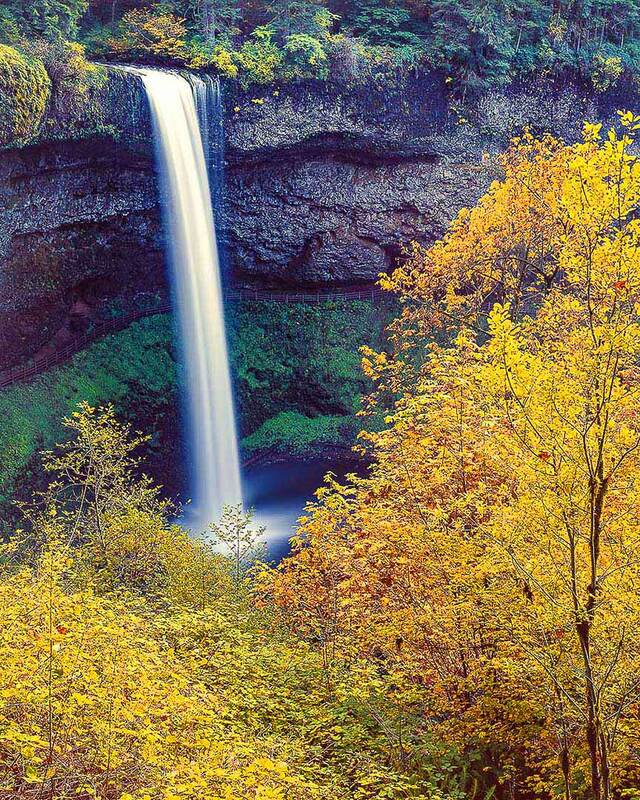 Silver Falls State Park is one of the crown jewels of Oregon’s amazing State Parks system. The Trail of 10 Falls, located within Silver Falls allows hikers to enjoy, you guessed it… 10 different waterfalls! Hikers will pass behind, above or beside, the aforementioned South Falls, as well as Lower South Falls, Lower North Falls, Drake Falls, Double Falls, Middle North Falls, Twin Falls, North Falls, Upper North Falls, and Winter Falls. The Trail of 10 Falls is 7.2 miles long but a well structured and relatively easy hike. I selected South Falls as one of my 10 best Waterfall Hikes in Oregon because of the Trail of 10 Falls but South Falls is a worthy singular destination if you are in the vicinity. South Falls is located a short,flat hike from the parking area. The 1/4 mile hike to the falls passes the historic Silver Falls Lodge. Some but not all of the view points at South Falls are handicapped accessible. -From Bend, take highway 20 west through the town of Sisters for a total of 46 miles to the Santiam Y Junction where you will take a slight right ontoOR-22 West . Continue on OR-22 for 67 miles. -Turn right onto OR-214 N for 7.2 miles and the entrance for Silver Falls State Park will be on the right. Follow signage for the South Falls Parking area. There is a “River Trail” through the urban boundary of the city of Bend which is administered and managed by the Bend Parks and Rec Department and there is the Deschutes River Trail South Of Bend, in the ‘Deschutes national Forest, accessed from Century Drive. There is a designated parking area for Benham Falls, which also has a bathroom. 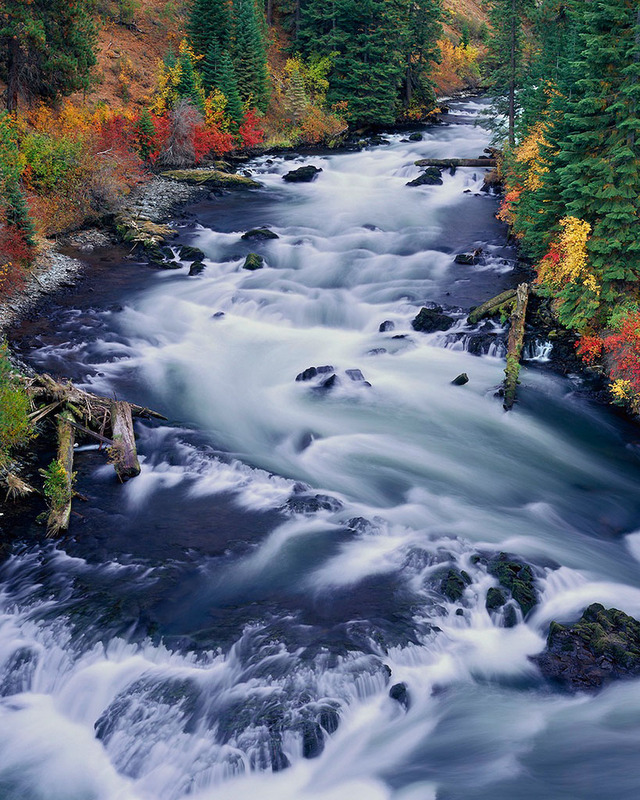 Multiple viewpoints share the beauty of this rugged section of the Deschutes River. To be clear, the beauty of Benham Falls lies in the hike an the surrounding area and not in the waterfall itself. The “Falls” are interesting and noisy and beautiful but don’t offer the jaw dropping vertical plunges of many Oregon Waterfalls. 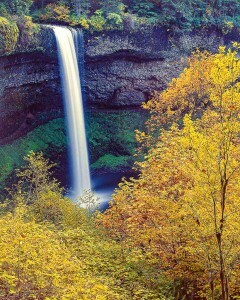 Regardless, I stand by my decision to include it in my list of the top 10 waterfall hikes in Oregon. For those of you who are visiting The Deschutes River Trail to Mt. Bike……don’t! You will find that there are a lot of hikers to frustrate you. There are lots of other biking trails in the area that you will enjoy more. turn left at FS 41 for approximately 5 miles and follow signage to Benham Falls. This forest service road travels about 1 mile to an obvious parking area. Tamanawas Falls is accessed via the Sherwood Trailhead parking lot, located on OR Highway 35 on the eastern flanks of Oregon’s tallest mountain, Mt. Hood. The Hike to Tamanawas Falls is 2.0 miles one way and gains 600 feet of elevation as it travels through attractive mountain forests. Currently, there is a detour through a large rock slide but it is passable. Tamanawas Falls themselves are stunning. This basalt lipped waterfall takes a single 109 foot plunge over a deeply undercut cliff edge. Hikers can walk behind the falls to enjoy its spray. -turn right at the Sherwood Trail Parking area where the Tamanawas Falls Hike begins.